England, rather predictably, failed to qualify for Euro 2008, when the rest of the world tried their hardest to get them there. A week earlier they seemed all but out, and then Croatia lost to Macedonia and Israel got a last minute winner against Russia, all of which meant that England now just needed a draw, at home, with Croatia to qualify. They had been given another chance. 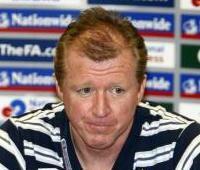 Another chance for redemption for Steve Mclaren, a chance to save his job, a chance for the declining reputations of Englands super stars to shine again, to walk the walk. And they blew it. England talked of the need to get through, of how important it was for a major tournament to have England in it, of how they realized that they owed it to the country, to the fans, who they have let down, to get the job done. They talked of the respect that they had for Croatia, and how they would not take the draw they needed for granted. If you asked most of the England team to jot down the expected Croatian starting line up most would have Niko Krankjaer and Edwardo de Silva at the top of their page – and very few names after that. That’s the type of respect they had for a team that have now beaten them twice and topped the group. Success has to be earned and is not a given right and that is where this England team fell short. Much has been made of the short comings of Steve Mclaren and many will feel that his firing has come a year to late, but these are international players called up from the top league in the world. They are training at Manchester United, Liverpool, Chelsea and Spurs everyday. They are working under the best coaches and best conditions in the world. There’s not to much an international manager under these conditions can do but to pick the team. He may be able to inspire passion and enthusiasm in his team talks, but if you can’t generate those yourself for representing your country, you have no place in international football. And maybe that’s the clue. Too many of this England team have under performed when they have played for England. The excuses have flown thick and fast as to what the problem is with England, from the over talked about and little substance feeling that there are too many foreign players in the league, to the wrong man, in Mclaren, being in charge, to the lack of young players coming through. The buck starts and ends with the players. Any team that has John Terry, Rio Ferdinand, Steven Gerrard, Michael Owen and Wayne Rooney in it, not to mention David Beckham when fit and available, should be competing to win a title and not failing to qualify. Yet, as Real Madrid found out during their Galactico’s phase, big names don’t win you anything if there is no desire and spirit there. Much has been made of the inability of Frank Lampard and Steven Gerrard to play together. Two of the leagues best players should, on paper, make up a dream central pairing in midfield. Yet match after match they failed to deliver. Lampard has received much of the criticism at international level yet Gerrard should not escape this consternation either. Gerrard inspires and drives Liverpool yet fails to do the same for England. When he has been needed most, when England need to dig deep and look for someone to drive them forward, Gerrard has been anonymous. England have needed him to take games by the scruff of the neck and immerse himself in the battle, but he has failed them here. Lampard, the free scoring midfielder at club level may have been exposed at international level. He has been brilliant at Chelsea, when playing next to Essien and Makalele. If he were to move to Juventus or Barcelona he may be effective because of the quality around him, but when he needs to be as big as his reputation he has fallen short. His rise in the England set up coincided with Beckhams best period, and with the likes of Scholes around, he doesn’t deliver alone. Wayne Bridge, Wright Phillips, Crouch, Bent, Defoe and Johnson have all been exposed at international level. Although this may have a lot to do with the fact that , apart from Johnson, they spend most weekends on the bench waiting for a 15 minutes or less of play each match day. All the high class training in the world can’t match actual game time. If these players harbour any ambition of being good players, and not just rich players, they owe it to themselves and the English fans, to move to clubs that will allow them to play week in and week out. If this stops them from sitting on the bench and collecting medals as squad players then so be it. Gareth Barry has been Englands best midfielder of the qualifying campaign. Barry isn’t the most talent midfielder in the squad, but is a hard working, disciplined player, who, at Aston Villa, plays every minute of every game. That is what the England squad needs. To pick players that are first choice at club level, and to widen their pool of selection. The best players should be found in the entire Premiership and not on the benches of Chelsea and Liverpool. While Phil Neville may not be seen as a good footballer outside of Manchester and Everton, he should have started at left back against Croatia. Not only does he play every week, unlike Bridge, but with a rookie keeper in Carson, an inexperienced Lescot at centre back, a player of the experience and big match temperament of Neville was needed. He may not be the most flashy player, but he would have done the job, and brought a calmness that England lacked at the back. Another player that should have started was David Beckham. He may not have played much in the last few months but in a one off match, that this game was, he should have been allowed to play as long as possible to influence the game in a way that none of the chosen midfield were able to. Beckham may not be the most intelligent of people but he has a very good footballing brain. The little time he had on the pitch showed that. Until Crouch scored the equalizing goal he had been starved of service. It took Beckham to deliver the cross that was needed. His range of passing and ability to pick out a target should have been utilized from the beginning. Yet ego’s seem to play a big part in this England set up. Why was Barry withdrawn for Beckham and not Lampard who was the unnoticed during the game, or the equally ineffectual Gerrard? While the international careers of James, the Nevilles, Beckham and Campbell may be now be over, although Beckham may be allowed to gain the one cap he needs to go to 100, others should be considering their futures. Lampard, Gerrard, Cole and Robinson should all be asking themselves if they have the desire and hunger to play for their country or if they are doing more harm than good for their international team. Hard working, as well as talented, skillful, players are needed ahead of the ego’s and inflated reputations. A fresh approach is needed, an injection of players who want to represent their country and not players that have to. Players like David Bentley and Kevin Nolan, both playing for hard working, unglamourous, clubs like Blackburn and Bolton are needed. Players who will give all for the shirt. Euro 2008 will not have England competing this summer, and as much as the big international teams are needed in this tournaments, only the teams deserving a place will be there. England aren’t one of those deserving teams. Whether or not England gain the point they need to sneak into Euro 2008, thanks to Russia’s stage fright in Israel more than anything England have done, much will be made of the debate as to why England have been so toothless and inept over the last few years. Excuses and explanations can be found in every corner, from the manager, Steve Mclaren, just not being up to the job, from the players showing little desire, to the players just being not up to scratch and relying on over inflated reputations carved out of being carried by good club teams. The explanation that is gathering the most voices focuses on the influx of foreign players in the English league system, to the detriment of home grown players, and thus to the nation team. Those who are most vocal about this being the reason England are battling on the international scene, while their club teams are some of he best in the world, point to Arsene Wengers Arsenal as to the best example of the problem. Generally when Arsenal play there are no English players in the starting 11, and one when Theo Walcott makes a rare start. The team, describes by many as the most entertaining footballing team in the world today, rely on a cosmopolitan team made up of talented players from across the globe. Theo Walcott waits on the bench for rare starts. Justin Hoyte rarely makes an appearance either. But would the Emirates be filled every week if Arsenal was made up of average English players? Would they be playing the same brand of football that has made the Premiership stand out from the more tactical, but mundane, Italian league? The issue of whether or not foreign players, and foreign managers too, have helped or harmed the league is a simple one to answer. Without a shadow of a doubt they have made the league better. At first there were only a sprinkling of foreign players in England. Cantona, Zola and Bergkamp brought a level of professionalism and flair to a game that was missing both. The days of players going out for a drink after training, of players eating anything they wanted, and of players not doing the extra work that was required to take them to a new level, where left behind. Players playing with these stars were quick to see that they had to change their habits and adapt or be left behind. This was the future of world football and it took the English league up to a new standard rather then have it lag increasingly behind as it had been doing. The best players needed to come to England, rather then Italy, as had been the case for many years. With increased skill, flair and entertainment, came more money. Money poured into the English game, and this money has just increased and increased to such a state that the top teams weren’t the only one that could afford and attract the class and calibre of player that was craved by the team and fans. Without the foreign invasion there would be no money because the league would not be as entertaining and popular as it is now. Leaving behind the obvious reason as to why the league can not issue a restriction on non England players per squad, that is slaps in the face the freedom of employment laws that all EU citizens have, that is would this be illegal, there is a far simpler case as to why it is not needed. If the English players were good enough they would be in the team. England is not producing players of a high enough standard to merit selection into the teams that are at play today. When less foreign players plied their trade in England obviously more English players played. Yet these players would have been in the same class as Championship players these days, with the exception being the Bryan Robsons, Terry Butchers and Gary Linekers. These players would have still gotten into any of todays teams simply because they were good enough. Wayne Rooney, Steven Gerrard, John Terry and Michael Owen will all start for any club team because they are good enough. If Arsenal had any players of this calibre they would be playing. The best players will come through no matter what is infront of them. Simply put, the influx of foreign players in England has brought out the best in English talent. The players that are good enough are playing in their clubs teams. Players like Wright Phillips, Crouch and Defoe need to leave their clubs to get first team football. The system is not to blame, the players are. England failed to qualify for USA 94 when there were few foreign players in the league. For all those Chelsea fans who feel that the tide has turned, the storm is over, and the skies have cleared around Stamford Bridge, be cautious, it may not have even begun. While almost all outside of Stamford Bridge, all football fans not bored housewives, claimed to hate the “Special One” the truth is that it was more of a case of hating Chelsea, and what they stand for, throwing money at problems, hiring mercenaries, and inflating transfer fees, they would in truth love to have Mourinho managing their club. The full affect of Mourinho’s influence on Chelsea wont be felt for another month or so, when Chelsea lose Essien, Drogba. Mikel and Kalou to the African Cup of Nations. Not only will the strength of their squad be tested, but so will the team spirit of the squad, a team spirit that was cultivated by Mourinho, and has been found wanting at times since his resignation. When Mourinho was shown the door the call from the owners box was for attractive, attacking football. That wasn’t seen in the first weeks of Avram Grants tenure as Chelsea manager. In his first game Chelsea went down 2-0 to Manchester United in performance that was so bereft of life and spirit that would have left many of Chelsea’s fans wondering if this the end of the line for their spell as one of the top teams in the country. While always assuming that Mourinho had a substantial influence on the squad, the actual size of this, judging by that performance, must have been alarming. Mourinho, although spending a lot of money during his time at the Bridge, had inserted a backbone of Cech, Terry, Lampard and Drogba in the Chelsea team. These were all Mourinho men, willing to go to battle for their leader, and always giving their all. Since his departure there has been a lot of grumbling in the press, of a fall out between Terry and Mourinho leading to his departure, of Terry and Lampard not being on speaking terms as a result, and of Drogba’s devastation at the loss of Mourinho and the subsequent wishes to leave. The team spirit at Stamford Bridge is being tested, and while Terry, Cole, Lampard and co may come out and speak about the support they have for the new man, Avram Grant, and that he is the right man for the job, you can’t but feel that this is merely the standard press line by the players. While being shocked, and outraged even, by Mourinho forced fall, they must have been livid by the replacement. Not only did it now seem that Grant must have been lined up months before to take over the managers job, but while they could have expected many of the big names in world football to have at least been talked to, the owner seems to have given the job, the job of coaching of the top teams in the world, to a friend, a friend with no record of all at managing in a top league, a friend that may just be a puppet to increased interference by Mr. Abramovic. That may be the key reason why other coaches weren’t even approached, no manager with any pride would allow interference of any kind in the running of the club. So Abramovic has his man. While Grant pay point to a 6-0 thrashing of Manchester City as proof that the team are playing more attractive football, and that he is doing the job well, the truth is little can be taken from that result. Chelsea still play with the 4-3-3 formation that Mourinho employed, with the 3 up front spit to 2 out wide and only 1 in the middle, and is playing to pretty much Mourinho’s tactics. They happened to catch an over confident City side on a very bad day. One performance does not make a season. They have looked lackluster in the league and in Europe, often doing just enough and no more. The draw against Everton would not have been allowed to happen under Mourinho. Tight discipline would have lead to Chelsea holding on to their 1-0 lead and not conceding in the last minute. While Chelsea have a squad brimming with talent, the way they play, and the results show this, is that they are a one man team. They are over reliant on Drogba. Without Terry at the back they seem venerable and less assured. The same can be said about Cech. When Lampard is missing there is a certain drive that isn’t there, and Essien may be the energy of the team, but it is Drogba that has been Chelsea over the last 2 years. He has won games for them, and rescued draws, when Chelsea haven’t deserved anything. His goals are the reason they were able to Challenge last season. If Drogba were to leave Chelsea would have to find a replacement to be the focal point of their play, and one that is up to it. A lot will be seen of how well Chelsea will cope with Drogba when he leaves for the African Cup of Nations in January. Should the Ivory Coast do well, and they should, he could be gone for 6 weeks. Pizzaro, Schevchenko and Kalou are all good players, but have not shown that they are able to carry a team, particularly when things aren’t going for you. This is when the team spirit at Chelsea will be tested, this is when they will have to stand up and show what they are made of. Under Mourinho there is no doubt that the steal would have been there. Grant will find out during this testing period whether the players really are with him or not – more than what is said in the press. South Africa followed up their series victory in Pakistan with an emphatic demolition of New Zealand in their first home Test of the summer. South Africa won the first Test by 358 runs, their biggest run victory ever, eclipsing the previous best achieved against England in the ’94 series. While both Jacques Kallis, who has scored a century in each test this summer, 4 hundreds in 3 Tests, and Hashim Amla, with an unbeaten 176, starred with the bat for the Proteas, it was Dale Steyn who proved the match winner, with his first 10 wicket match haul of his young international career, his match figures a brilliant 10/93. Steyn bowled with pace, control, aggression and swing, proving too strong for the Black Caps batsmen, as New Zealand were bundled out for 118 and 172 in their two innings, the match over inside four days, giving them an extra days rest before the second Test, which begins on Friday. South Africa have retained the same 12 man squad for the second Test, which means the likes of Neil Mckenzie and Boete Dippenaar, will both have to wait until the West Indies arrive to see if their run scoring for their franchises and the SA A teams have been rewarded. While Shaun Pollock is once again in the squad, if past selection is to followed, he will once again find himself doing duty for the Dolphins in the domestic scene and not the national team, as they are unlikely to alter a winning team. The case against Pollock is that the selectors feel that a team composition of six batsmen, a wicket keeper, and four bowlers, one of whom will be a spinner, is the way forward for South Africa. This composition is based on the Australian model. They feel that an attack that is capable of bowling a team out twice is needed to win matches and do not see Pollock is fitting into that mold any longer. While their argument may convince themselves it is not entirely plausible. While Andre Nel has bowled well, in Pakistan and in the first Test here, a batting tail with him coming in at 8 does not inspire confidence. Andre Nel is a number ten or eleven batsman and nothing more. The weak tail has not been to much of an issue right now, with South Africa winning 2 Tests and drawing one this summer, but when put under pressure, which they have not as of yet been under, they may be found wanting. When South Africa need to bat out a day or more to save a Test they may find themselves wishing they had the bonus of Pollock coming in at number 8. While they have stated that this team composition means that added responsibility has to be taken by the batsmen, leaving the batting to them and the bowling to the bowlers, the truth is that this sort of argument is merely words with little substance. It is almost implying that with a stronger batting line up the top and middle order don’t give 100%, knowing that someone will follow them who can do a job too. If that’s the case then they shouldn’t be playing for South Africa. Whether they have a batsman or a bowler following them in the lineup shouldn’t matter, they should be setting out to score big anyway. Mark Boucher should not have to feel like its up to him every time he steps out to bat. A line up that is balanced it by far a better option. And Pollock offers this balance. While some may argue that he doesn’t take wickets with the same regularity that he used to, they can be countered by his economy and the pressure that that builds. Pollock, bowling maiden after maiden, will allow Steyn or Ntini to fire in from the other side, bowling shorter more effective spells. Pollock should be used as a foil to the strike bowlers and not as a comparison. When the wicket offers some assistance he will be able to extract that and bag himself some wickets too. He was the South African Test player of the year last season, yet can not get into the team this season. Nel only took 2 wickets in the match against New Zealand, would Pollock have done worse? Although his batting wasn’t needed this time it will be in the future. While Nel, Ntini and Steyn are all fine bowlers, each worthy of selection, they shouldn’t be in the same starting 11. It upsets the balance of the team. Morne Morkel offers more with the bat and when he is fit he will restore some of that balance, and with him and Steyn bowling in the same team will give batsman something to really worry about. But Pollocks time is not up. So why force it? South Africa’s home test season begins tomorrow at in Joburg as the Proteas take on New Zealand, in what will be Daniel Vettori’s first Test as captain. 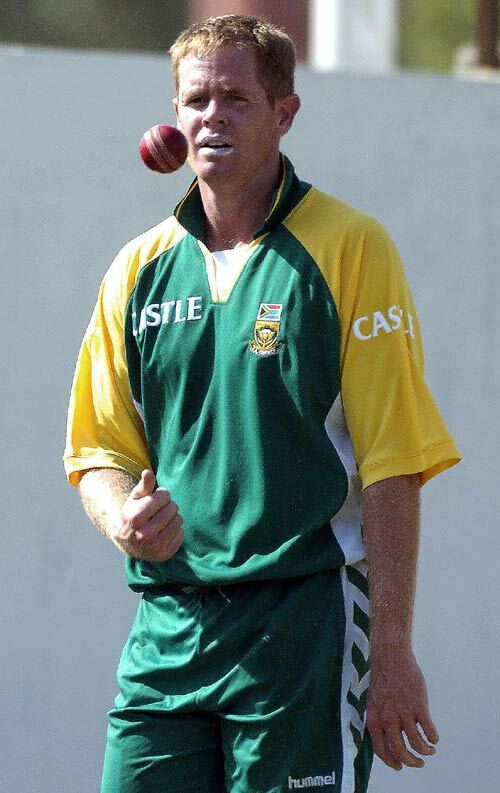 South Africa have once again decided to leave out legend Shaun Pollock, who will instead play for his franchise, the Dolphins, against the Warriors in East London. South Africa have decided to retain the same 11 that won the Test series in Pakistan a few weeks ago. During that series Shaun Pollock was dropped for the first time in his 107 Test career. The selectors made the case that they felt that Polly was not best suited to sub continental wickets anymore and that he would return for the home series. While South Africa won the 2 Test series 1-0 it was noticeable that their tail was longer than usual, with Paul Harris and Andre Nel coming in at 8 and 9, positions usually filled by Pollock, who is a far better batsman then either of them. While Pollock may not be the same strike bowler he was he is still a bowler able to contain batsman and would be a foil for any of the other bowlers bowling at the other end. In matches where South Africa are on top the long tail could be compensated for, but when they are put under pressure they will be exposed. Lets hope that this is not the end of brilliant career for South Africa’s leading Test and ODI bowler. He certainly deserves better. Dale Benkenstein, who was to be the player coach of the Dolphins this season, has joined the renegade Indian cricket league, and in doing so has had his career in South Africa brought to an end. CSA have banned any players who have signed up for the ICL from representing any South African teams, at franchise and international level. Benkenstein, who captained the Dolphins for 8 consecutive years in the mid 90’s and early 2000’s, was part of the double winning team of the 96/97 season, and has played for the Dolphins for all 15 years of his cricketing career. Benkenstein played 23 ODI’s for South Africa and it is a crime that that number is so small and that he didn’t play any Tests for his country. He should have been the man to replace Hansie Cronje as the national captain but for whatever reasons that never happened. He still has a few seasons left in county cricket with Durham, who he has captained for the last few seasons. At 33 the decision to join the ICL was one that he had to make, he would earn in one month what he’d usually earn in 6 years, and with a family and a future beyond cricket it is the right decision for him. Lance Klusener and Johan van der Wath have also joined the ICL and have thus had their South African franchise contracts torn up. With cricket being a business and a livelihood for these players there is no reason why this action had to take place. They should still be available for franchise and country. Cricket is the big loser here, especially the domestic fans in South African cricket. The Dolphins have lost two long serving great cricketers at a time when the team really needs help and direction. Liam Plunket and Steve Harmison will make their South African franchise debuts this week. Plunket will be playing for the Dolphins and Harmison for the Lions. South Africa has ditched the racial quota system in all sports. Following the success of the Rugby World Cup, where South Africa emerged champions, the Sports Minister, Makhenkesi Stifole, announced that there would be no more quotas in South African sport. Instead the government would be investing more money in resources to develop young, black talent. This can only be good news to South African sports teams and fans, and to the people, as the money will now be put to use where it can have an affect and better serve young sportsmen and women. Merit will be the only selection criteria and tokenism will be a thing of the past. South African sport is moving forward. The golden generation of Portuguese football, a generation that including the likes of Figo, Rui Costa and Couto, where unable to bring hope any silverware, success that their undoubted talent demanded. A new generation of Portuguese footballers are emerging, some with the potential to be better than their much admired predecessors, a generation lead by the supremely talented and confident Christiano Ronaldo, with experienced players like Simao Sabrosa and Ricardo Quaresma, and emerging players like Nani, the future of Portuguese football looks bright. There is a new crop of talented players beginning to push for claims in the national team and who should be catching the eye of the top teams in the very near future, if they haven’t already done so. Not to surprisingly the bulk of the new kids on the block are from Sporting Lisbon, the same youth system that has recently supplied Manchester United with both Christiano Ronaldo and Nani, and if reports are to be believed, could very well supply them with a new face or two in the coming years. 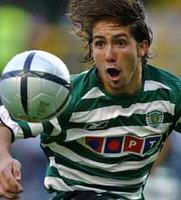 The first of this new crop of players is the current Sporting captain Joao Moutinho. The young attacking midfielder, who at 21, is the youngest captain in the history of the club, and has already played 81 times for Sporting, scoring 8 goals. He also has 8 caps for the national team. 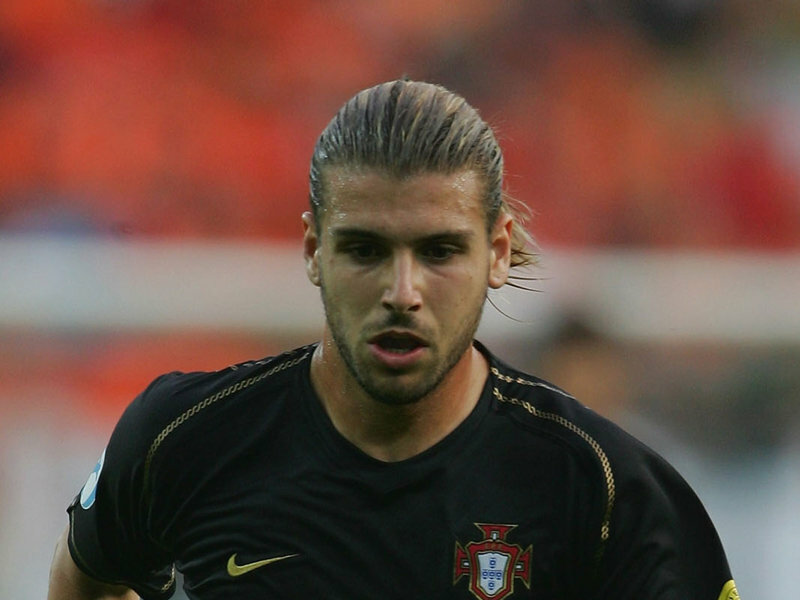 He made his debut at only 17, and in the 2005/2006 season was the only player in Portugal to play every minute of every game. His rise has been quick and has not gone unnoticed with the likes of Real Madrid said to be interested in bringing the midfielder, who is most comfortable playing in the hole behind the front men, but has been used across the midfield, over to Spain in January or next season. Sporting though are adamant that their captain will be going no where, but as we’ve seen with Ronaldo and Nani, the players ambitions and money offered generally speaks louder than mere objections. It wont be to long before the diminutive attacking player is plying his trade in Spain, England or Italy. Like Moutinho, Miguel Veloso has also come through the ranks at Sporting, firmly establishing himself in the starting 11 over the last couple of seasons. Less flashy then his team mate Moutinho, and former team mates Nani and Ronaldo, Veloso has non the less gone about establishing and growing reputation in Portuguese football, one that has been noticed by the likes of Arsenal, Manchester United and Real Madrid. Veloso, who has played most of his games in the centre of midfield, as an anchor to Moutinho’s attacking free role, can also play at centre back or left back, and is particularly effective at set pieces. Strong performances in the Champions League both last season and this, particularly last season when he stopped both Figo and Vieria from having an impact in Sportings win against Inter, and this season where he impressed in Sportings loss to Manchester United, have moved Veloso to the top of many teams wanted lists. Arsenal are said to be contemplating a move in January, as are Madrid, for both Veloso and Moutinho, while Manchester United are said to be ready to move in January if the others make an offer, but would rather wait till next season to bring Veloso to Old Trafford. Veloso is thought to favour a move to United, where he would be reunited with former team mates and friends Ronaldo and Nani. While both Veloso and Moutinho are said to be wanted by the who’s who of club football, Manchester United, Arsenal, Inter, AC Milan, Barcelona and Madrid, it is in England, with either United or Arsenal, where the futures may lie. Both Fergie and Wenger are youth orientated managers who have scoured Europe for the best young talent and will perhaps by the best place for their potential to be nurtured. The coming coming close season could be a very active one for these young stars, if January doesn’t bring about a big move. While the future both the French and Portuguese national teams looks bright, with a strong potential laden crop of players coming through, and already making a considerable mark in their home leagues, it will only be a matter of time before money talks and the young starts are on their way to England, Spain or Italy. The breeding grounds of France and Portugal are looking particularly plentiful for the likes of Manchester United, Arsenal and Real Madrid. You are currently browsing the My Sports Blog blog archives for November, 2007.